Mod Squad: Muddy sounding neck pickup? People often call and ask how to fix a muddy sounding neck pickup. Some years ago, Seymour taught me a cool trick to fix this exact problem. If you connect a .047 capacitor in series (directly in-line) with the hot output wire from your neck pickup, it will filter out the excess low-end, and clean up the muddy tone. Most of the time, this solution is perfect. And, it is an easy mod that most people can do themselves. Want more tips and tricks like these? Become a fan on our Facebook page and follow us on Twitter. This is an interesting fix. I’m curious as to whether or not you would still use a capacitor on the tone pot and how that value would effect things with this one on the hot output. the cap inline (series) will reduce low end. a cap to ground (parallel, like a regular tone cap) will reduce highs. if you have them too close to the same value, all you end up doing is lowering the volume, as both crossover points intersect. do u need to do both? seems like he is saying one or the other. Either at the switch or the volume. Please clarify. i wanting to try this. Is this also possible for push/pull setup and can i use a orange drop capacitor? Even when run between lugs, it still ends up running to ground through the pot. It’s easiest just to run one lead directly to ground, but either way works exactly the same. On some setups, especially with tubular caps like this, the cap will fit better between the pots. Is it possible to do this with the Ibanez wiring for 2 humbuckers with a 5-way switch, in this kind of scenario? Been there… SD wont help you much, looks like they are limited to Gibson and Fender type of guitars. look for the diagram in the Dimarzio page, I had to use a super 5 way switch on an old Rg7420, but in my new RG927QM putting in a pair of SD distortion was easy I just had to wire them the same way as the old pickups. good luck. yes it is and has been done already check out the rg331m exact wiring as above. is it okay to use different cap value? I use a .033uf cap for the neck position Phat Cat in my all-mahogany LP Studio, with a .01uf for the tone control. It works perfectly! And when I roll off the tone, I get a wah-like sound. The lower the cap value, the more lows you cut, and the brighter your sound will be. Just make sure that the cap you use to cut bass has a greater value than your tone cap. i use a singlecoil size-humbucker in the neck, and a 0.047 for the tone pot (i like it more than a 0.022 or 0.033). is it fine to use a a 0.047 for de-mud? Yes. Try a range of different capacitors, use alligator-clips to make temporary connections and decide for yourself what sounds best. Like Seymour says, “Own your tone”. the cap value acts as a crossover point. a specific frequency. a .047 in a regular tone control rolls the highs off to that point. (very muted tone). a .047 in line (series, as in the above diagram) will roll off LOWS to that frequency. Will this work for a bridge pickup? Will it tighten up a JB in the bridge? How about for a tone knob?? Where would those wires go?? I’m wondering why it wouldn’t work for the bridge though. I have my pickups wired independently to master volumes J bass style. The only difference is the cap would be between the bridge hot wire and lug of the bridge master volume. Work JUST fine in my SG G400 neck Pup!!!! Hah! I discovered this years ago, experimenting on an old 1970’s Shaftesbury Les Paul copy. After trying various capacitor values, I too found that 0.047mfd is the optimum value. I yesterday tried this mod, and very much like it! However, hard-wiring it causes a phase shift which affects my tone control and middle setting of pickup selector. Is there any way how to calculate cutoff frequency and phase shift? The normal formulas ask for a resistor to ground, which is not present in this mod. Or is that the resistance of the pickup? I would like to make this mod variable with a pot, and not hard wired… Anybody knows how to do this? Thanks! The resistance is combination of the volume know and the source impedance of amp/guitar pedal. Most Vol’s are 250K-1Meg, input Z for most guitar FX and amps are also around 1Meg. Depending on your guitar take it as between <500K and 250K. This is a great trick but, anyone heard of a TBX controll? It it completely passive. You can boost the treble or boost the bass with your tone knob. It kinda blows this trick away and is not much harder to install. This way you can control how bright you make the pickup. And TBX is pretty inexpensive. I’ve got one in my Stratocaster, and I’m about to install one in my Telecaster. I expect it will make my Tele’s neck pickup more useful (especially at lower volumes). 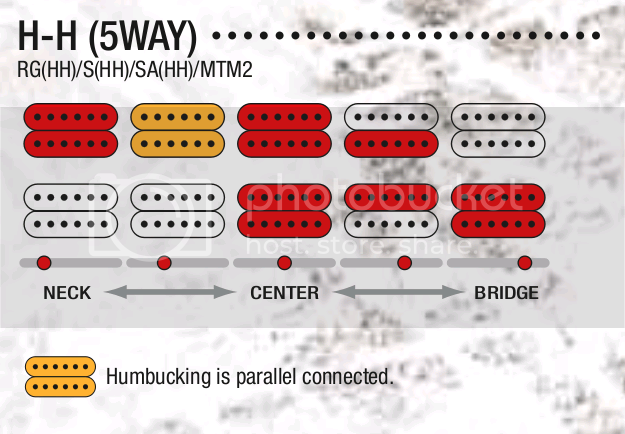 I find that, on the Strat, it’s useful in the #2 and #3 pickup selector positions. Makes them sting. Right on man. You are in the know. These things are like secret tone weapons. I shocks me more people don’t know about them. I use the EMG RPC on one of my Les Pauls’ neck pickups. Also an active tone control that boosts treble and cuts bass. Works GREAT for cleaning up a muddy neck PUP. So I just tried this mod on a couple guitars that have muddy neck p’ups and it worked perfectly on one, but not quite enough on the other… so I want to ask a “check my logic” question: Will adding an additional capacitor in series help more? I’m thinking that a higher value (i.e. : another cap in series) will clear it up more, but it occurs to me that I might be thinking in reverse and need a lower value cap.